Hello fellow sewistas! I can't believe it's October....Well the holidays are coming, and can you feel the tension rising? What is it about the holidays? One moment you're excited thinking of all the get togethers and feasts (you can hardly contain yourself), and then you over commit, over indulge and wish you could have a do-over. Well it's important not to forget yourself. Make smart decisions and maintain your sanity. That may mean not over committing so you have an opportunity to be creative and hone your sewing skills. If you're anything like me, I go through withdrawals when I don't have an opportunity to sew. Yes, I said it, "I am addicted to quilting!" Oh wait, wrong forum, or is it? We've been together for a while now and we are starting to see various works from everyone. It's so exciting, isn't it? With that being said, please take some time for yourself and discover the creative process this season and always. Try not to stress out about the end product focus on the build, or if the end is your "process" then try not to worry so much about the "build" but rather the end product. If you're willing, tell us about your journey. 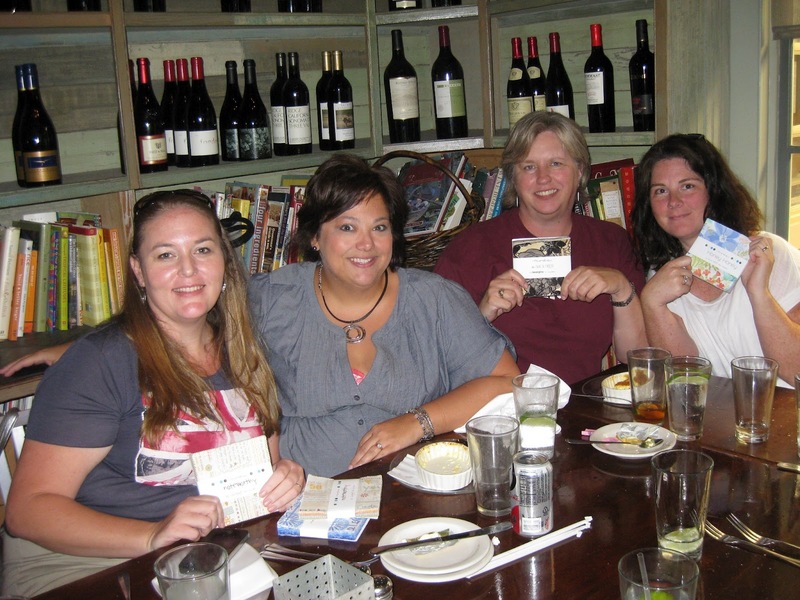 Allison Rosen, C&T Books (STASH is our imprint) platinum level sponsor of QuiltCon, wrote us to ask for assistance!! This is their first consumer show. 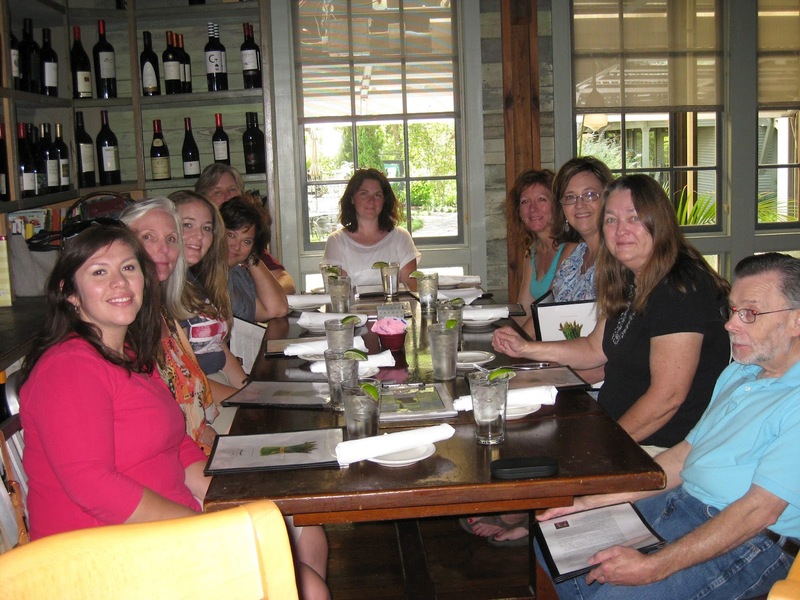 They are used to quilt market where they sell wholesale, and they are filled with great ideas about how will create a shop at QuiltCon among the vendor booths. They are looking we for our membership to volunteer to help them man the booth at Quilt Con. They need help providing product information where needed, writing up orders, and helping with set up and break down of the booth. They are offering a show floor ticket for free to anyone who is willing to help them out! As for dates and times - that remains to be determined once they know what kind of response we are getting. If you are interested, please let me know via private message or at the meeting. ***The October meeting been pushed back a week due to quilt retreat. It will be Thursday, October 11, 2012 at the Northside Church of Christ. Remember Happy Hour is at 6pm, so please come early if you can! Please don't forget to bring your Halloween BOM! We can't wait to see your creativity. Thank you Allison (for kitting everything so nicely)! ***Heather Grant, Austin MQG board member, will be talking to us about Modern Quilting and the Modern Quilting Movement. She is a member of the Austin MQG and also on the board of The Modern Quilt Guild. Today some of the SA Mod Hot Tamales got an opportunity to indulge in fabric shopping followed by a nice lunch with some wonderful members of the Austin MQG. Thank you Heather, Mary Ann, and Susan. 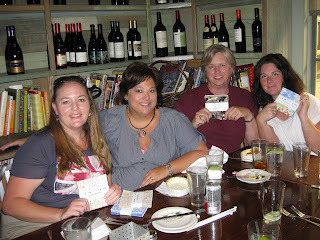 Deann from Quilt Haus of New Braunfels also joined us for lunch, and we each walked away with charm pack! Score!!!!!!!!!!!! She said they were gifts from their Moda rep. Autumn has arrived, or has it? In our board installation last month our theme for the 2012-2013 was revealed, "Community." 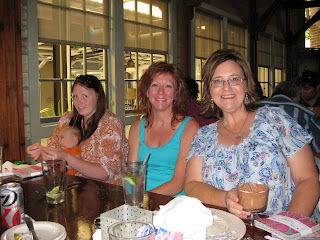 Well as luck would have it, Amanda and Rebecca of the Portland Modern Quilt Guild have invited us to be a part of a on-line community they created called Threadbias http://www.threadbias.com. The idea came from a "pair of quilter-sewists, to bring people together for fabric and fun." They are excited to build a sewing community and exchange ideas, projects, sew alongs, bees inspiration and more! Threadbias was created more than a year ago and is growing more and more each day. It's super easy to sign up and not to mention it's absolutely FREE! In looking to really spread our wings this year, I encourage you to log on and get involved. In the spirit of National Sewing Month, we have initiated a challenge. See the newsletter for details or click the challenge tab above.